With more than more than 200 business and civics leaders from 16 countries, ReadyNation International recently convened its annual Global Business Summit on Early Childhood. 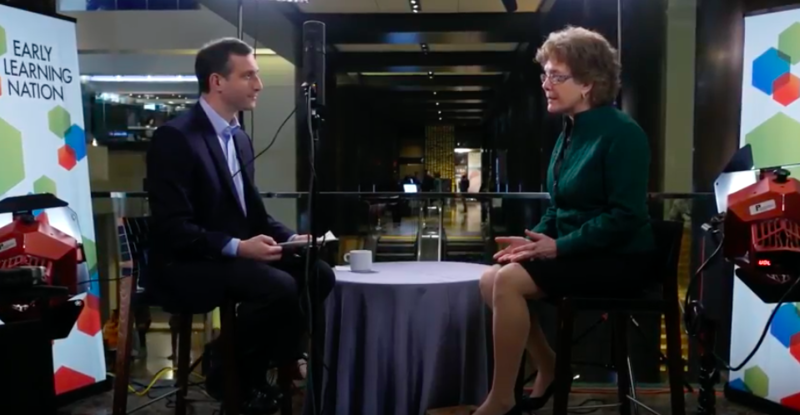 What are the global trends and insights – and how can businesses best invest in their “workforce of the future?” Watch our conversation with Dr. Sara Watson, global director of ReadyNation International to learn more. Early Learning Nation: Sara, thank you for coming to the Early Learning Nation studio. It’s great to have you. Dr. Sara Watson: I’m thrilled to be here. Early Learning Nation: Big conference, how’s it going? Dr. Sara Watson: It’s wonderful. The Global Business Summit on Early Childhood is the only convening in the world that is just for business people, to teach them how to become champions for early childhood. We have more than 200 business and civics leaders from 16 countries who are learning about what their peers in the business world are doing, what the latest economic and brain science evidence says, and what they can do when they go back home. 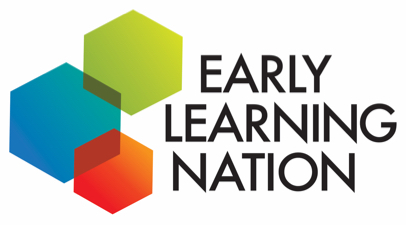 Early Learning Nation: Give me a brief description on ReadyNation, and why are you hosting this conference? Dr. Sara Watson: ReadyNation is a business membership organization that supports executives to advocate for the future workforce. We help business leaders talk to policy makers about the need for public investments to help kids grow into successful adults, starting at the very earliest ages. We do this convening so that we can find new champions and give them the tools they need to make the case on an economic basis, not on a charity basis or on a philanthropic basis, that investing in the next generation is essential for business growth. Early Learning Nation: I want to talk to you about the individuals, because in the end, it’s business leadership. It’s individual leaders, and you’ve got them here at the conference. But you were touching on a point, incentives for business, interest for business writ large. Why are businesses becoming champions of early childhood development? Dr. Sara Watson: Businesses are coming to realize that they cannot depend on the system that we have now to produce the job ready adults that they need. One of our wonderful champions is Jim Spurlino, the CEO of Spurlino Materials in Ohio, which makes concrete. He talks about the fact that, in any building, you need to have a good foundation, and if he doesn’t pour good concrete, you don’t want to be in that building. Early childhood is the same way. They really understand that, just like in any other process in business, if you want a good result, you need to start early in looking at how things get started, and children are the same. Early Learning Nation: Do they see purely long term investment? Do they see short term benefit? And how do they balance the short term versus long term, which just in a business mode can often be hard, and here we’re talking about early childhood development? How do they balance short term and long term? Dr. Sara Watson: One of the great things about the field of early childhood is that you can have your cake and eat it too. There are many studies that show the short term benefits of good early childhood interventions. It improves health. It reduces emergency room visits. It reduces child abuse and neglect. It reduces special ed placements starting in the early years, and it also has those long term benefits of helping young adults do better in school, make better choices, do better in the workplace. Now, those early benefits don’t necessarily accrue directly to business, but they do effect the quality of life in the communities where they operate, and it also determines whether our public dollars are going to be spent more on the prevention end or more on the back end when it’s much more expensive. Early Learning Nation: And obviously, community and social responsibility for businesses is just one of the drivers that many of them are getting measured on, and investing back in their communities makes total sense. Let’s talk about some of the individuals, because again, you’ve got a big room filled with people and a lot of presenters as well. What are some examples that you have … I assume that they’re going to be ReadyNation members, I would hope, but of individual business leaders who are doing something special, interesting, unique around early childhood development? Dr. Sara Watson: Well, one individual that just got our Business Champion For Children Award is Mike Petters, the CEO of Huntington Ingalls, the largest military ship builder in the United State, and he personally supports early childhood programs as well as being a champion for young children generally. And what he says in terms of the long term is that, pretty soon, he’s going to launch a new aircraft carrier. That aircraft carrier is going to come back to that shipyard in 25 years to get retrofitted, and in 50 years, it’ll come back to be disassembled. He knows today what type of employee he needs 25 and 50 years from now, and so those are the two and three year olds that are running around Newport News, so he really cares about how those children are going to develop. And I’ll mention another wonderful company we work with is Vanguard, the investment firm. The former CEO of Vanguard is one of our best champions. The current chief investment officer just spoke at our conference. They have made early childhood one of their corporate priorities, so they are investing in a wide range of strategies to improve early childhood. Early Learning Nation: With these business leaders, do you find that it’s more than just a business connection for them? Is there something personal for most of the folks who really get involved? Dr. Sara Watson: One of the wonderful things about the early childhood field is how much people intuitively understand these days about the importance of early learning. If you have a young child, if you have a young grandchild, if you have just a child in your family generally, you can see them learning from the very earliest ages, and so they understand at a very personal level that their children are probably going to be okay. They’re going to be read to and sung to and held and nurtured from an early age, and so they understand that not all children get that, and they want other children to get what their children have. Early Learning Nation: Is the role for business in early childhood development, is that only a big business thing? You’ve mentioned a number of very, very large companies. Or can midsize and smaller companies get into this game as well? Dr. Sara Watson: The wonderful thing about our field is that there is a menu of things that businesses can do, including very small businesses. We talk about getting active in your community. You can do that one-on-one. Getting the message out through your customers, social entrepreneurship, developing products that support early childhood and make money, speaking in the media, which we have many business leaders that sign op-eds with us or do letters to the editor or appear in the media of all sizes. And then there’s direct advocacy. And policy makers want to hear from their constituents. It’s more important to them generally to hear from a small business owner who is actually in their district than some CEO of a giant company that’s far away. Sometimes those small business owners who went to high school with their member of Congress or who have known their legislator since they were a young person can have a huge influence because they have so much direct credibility. Early Learning Nation: Sara, thank you for coming by our studio, and thank you for inviting us to your wonderful conference. Dr. Sara Watson: It was wonderful to be here. I’m so thrilled for Early Learning Nation to have such great visibility here. Thank you.